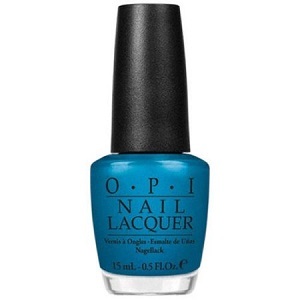 OPI Nail Polish, Yodel Me On My Cell, NLZ20, .50 fl. oz. Medium aqua blue shimmer nail color.